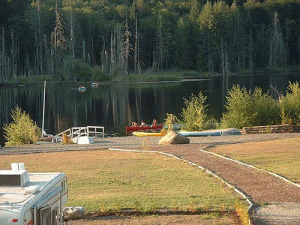 If tenting or RVing is not your style, come stay in our, lakefront, fully self-contained cabin. All you need to bring are your clothes, food and beach towels. The cabin has a queen bed plus a double hide-a-way, full kitchen and three piece bath. 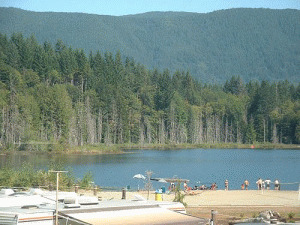 Outside you have your own private area right on the lake, with a picnic table and your own fire pit. 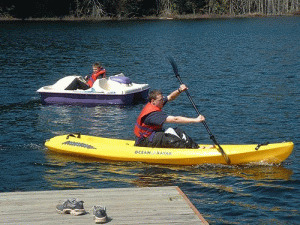 Please visit Beaver Lake Resort - Cabins Website.